For the first time since the league expanded to 32 teams in 2002, none of the teams playing in the conference title game have a defense ranked in the top 10 in total yards. Only New England is among the top 10 in fewest points allowed. But, the Chiefs, Patriots, Saints and Rams do possess the four most prolific offenses in the league. That’s the first time the four highest-scoring teams play for the conference championship during the Super Bowl era. It’s fitting one of those teams will win the Vince Lombardi Trophy because offense dominated in 2018. The 1,371 touchdowns scored were the most in a season in league history and the 11,952 points scored were the second-most ever. 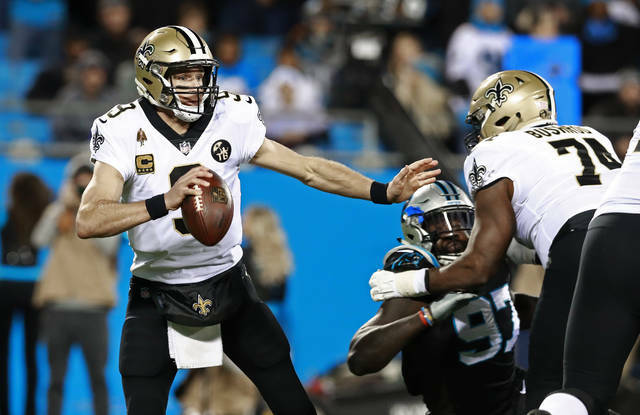 “You have explosive players in the postseason, guys who are extremely talented, guys who are represented in the Pro Bowl, the All-Pro team,” Saints coach Sean Payton said Wednesday. The success starts at quarterback with Tom Brady, Drew Brees, Patrick Mahomes and Jared Goff leading the way. Brady’s Patriots are the only team of the four that didn’t average at least 30 points, scoring 27.3. Kansas City led the way at 35.3 with Mahomes throwing 50 touchdown passes. Los Angeles was next at 32.9 and New Orleans averaged 31.5. Elite QBs aren’t the only thing these teams have in common. 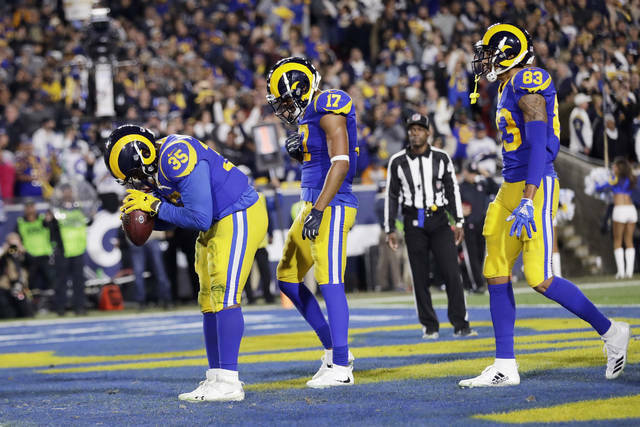 The Rams, Patriots and Saints were among the top six in rushing. Sony Michel ran for 129 yards and three TDs in New England’s 41-28 victory over the Chargers last week. Brady also threw for 343 yards. The Chiefs were in the middle of the pack on the ground during the season but Damien Williams had 129 yards in a 31-13 rout over the Colts. REMATCH: Both games are rematches from thrilling, high-scoring contests in the regular season. The Patriots (12-5) beat the Chiefs (14-3) 43-40 at home in October. The Saints (14-3) defeated the Rams (14-3) 45-35 at home in November. THREE’S COMPANY: The Patriots are trying to join Buffalo (1990-93) and Miami (1971-73) as the third team to reach the Super Bowl three consecutive seasons. HOME-FIELD ADVANTAGE: If the Saints and Chiefs win, it’ll be the 14th time since 1975 that the two top seeds meet in the Super Bowl and the fifth time in six years.